While your newborn can’t walk or talk it is never to early to introduce playtime. Between changing diapers, naps, and feedings try to engage in playful activities with your baby that will stimulate their development. Obviously, they are too young to toss around the football or enjoy playing board games but there are plenty of toys for newborns. The toys with different textures or bright contrasting colors will stimulate their sensory development. 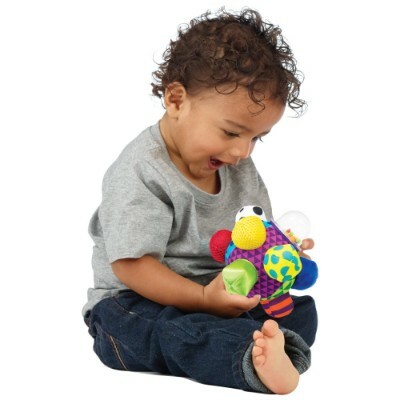 Purchasing a toy that your child can grasp or reach for will increase their fine motor skills. We have created a list of the ten best toys for newborns to help you find toys that are entertaining and developmentally appropriate. New toys are constantly being invented and toys that were once popular seem to lose their flare. This list was recently updated to ensure all products were in stock and have high reviews. 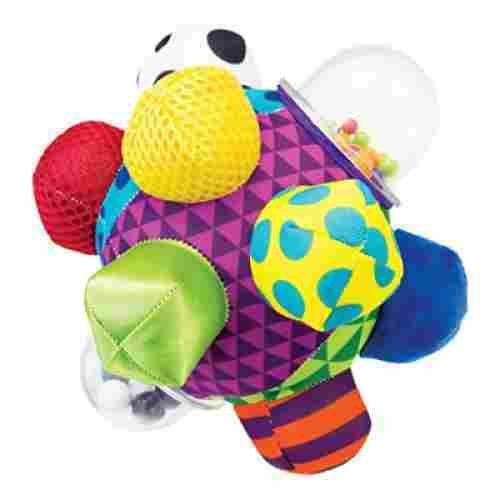 The Sassy Developmental Bumpy Ball is the perfect sensory toy for even the youngest infant. It has rattles, multiple textures and fabrics, and huge bumps that baby can grab and chew. The perfect size for tiny hands to hold and explore, plus teach about colors and patterns at the same time. 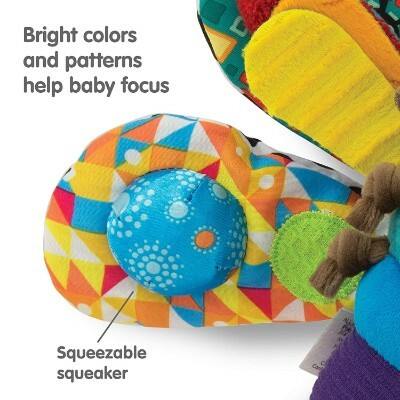 This adorable Bumpy Ball will excite the senses of any baby because of the colors and its unique shape. Because it is small enough for a baby to handle and carry, it will delight for hours and develop motor and cognitive skills at an early age. 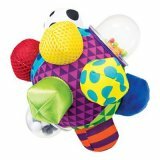 The Bumpy Ball is so cute and colorful, plus it is a great teaching tool for baby to learn how to use those tiny fingers. 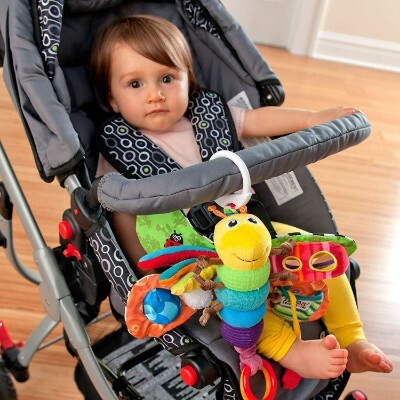 It has multi-textured fabric and plastic nubs that are easy for baby to hold, grasp, and even throw when a bit older. A wonderful teething toy on the fabric nubs and a rattling joy in the plastic nubs to entertain baby with the plastic beads inside. Baby’s senses will be alive with visual and audio effects that the Bumpy Ball provides. 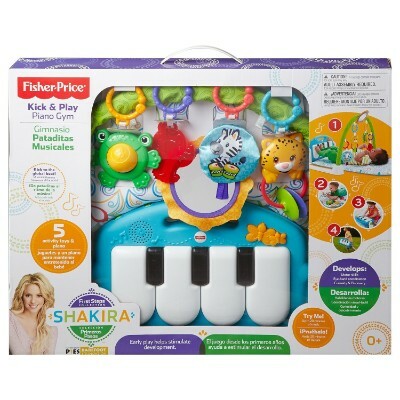 Made of high grade and premium polyester material, the Kick and Play Piano Gym by Fisher-Price provides 5 activity toys as well as soft newborn-friendly classical music and children’s songs for optimum comfort. The headboard is designed as a set of piano keys and the bed is adorned with an arch where the activity toys are left dangling. It includes an elephant clacker, a hippo teether, and 3 other fun animal characters. 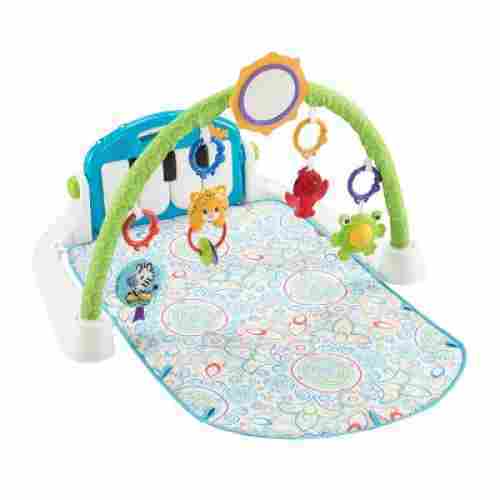 This wonderful play mat has a lot to offer the newborn baby in your life. The multi-textured toys that hang for baby to reach help with teething and feeling different objects. The musical element of the gym is special because not only does it detach for versatility, but it has two play modes. Baby can kick to play one note or music for several minutes. 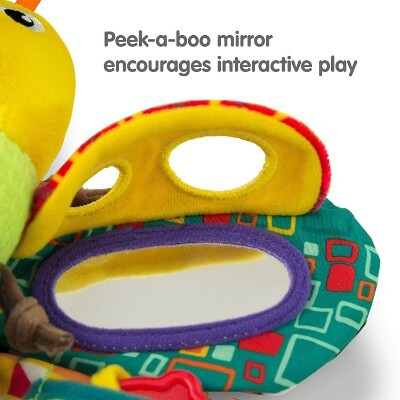 With its variations in positions, baby can play, nap, or sit and enjoy the many levels of this first toy. Your little one can explore the ocean with the Baby Einstein Octoplush. 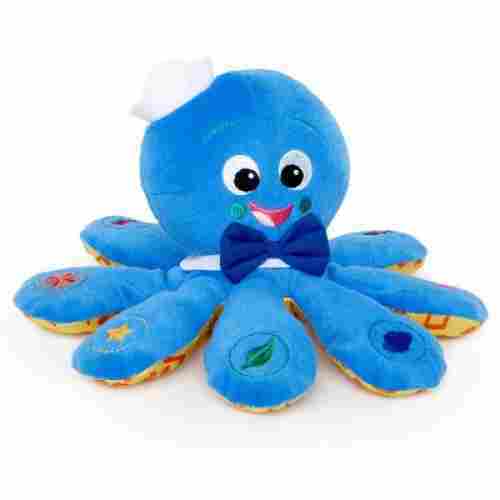 This bright blue octopus plush is super soft and designed to stimulate your child’s development. Each leg is designed with a colorful embroidered image. When that leg is squeezed your child will hear a classical melody and the name of the color of the corresponding image. The colored can be heard in English, French, or Spanish. It is lightweight, thus your little one can easily grasp and carry it as they grow. The volume control switch makes it easy for you to control how loud the sounds are. Not only will the octopus soothe your child with its classical melodies but it can also teach your child the names of colors in at least three different languages. The underside of the octopus’ legs is made of a high-quality satin that is not only soft but will also introduce your child to a new texture. Squeezing the head will release classical melodies that will soothe and comfort your child. 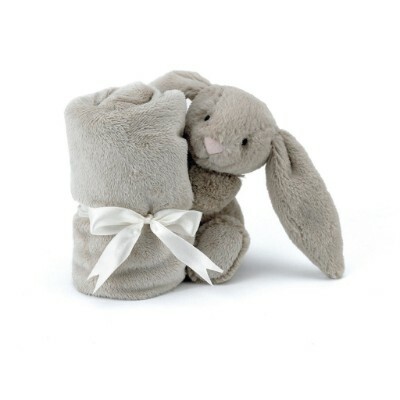 The Jellycat Bashful Grey Bunny Soother will keep your newborn warm and snuggly. The blanket is eighteen by thirteen inches and comes with a plush forest friend. With each blanket, the forest friend is colored to coordinate the blanket. Choose the grey blanket with the grey bunny, the yellow blanket with the duckling, or one of the other many colors available. Jellycat has a streak of super soft and cute baby toys. This blanket is perfect if you’re looking for a soother. The animal is not stitched tightly to the blanket, so you can separate them, or you can reinforce the seams there and keep it as one piece. 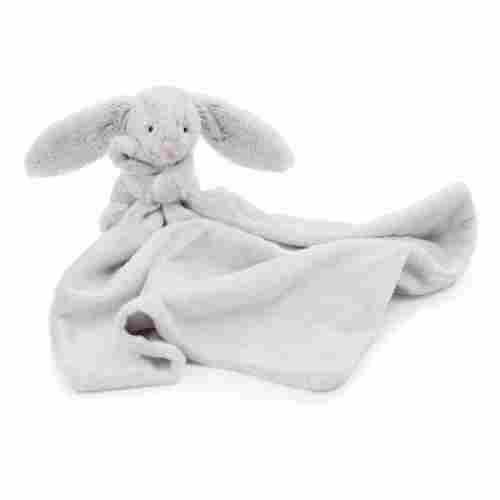 The blanket is lightweight and can easily be grasped by your child’s small fingers. Their fine motor skills will increase as they grasp at the blanket. You won’t have to waste time hand washing this blanket because it is machine wash safe. The included forest friend will provide your little one with a sense of security as it lays near them in the crib. Whichever blanket color and forest friend you choose, your little one will be super cozy as they are all composed of 100% polyester. 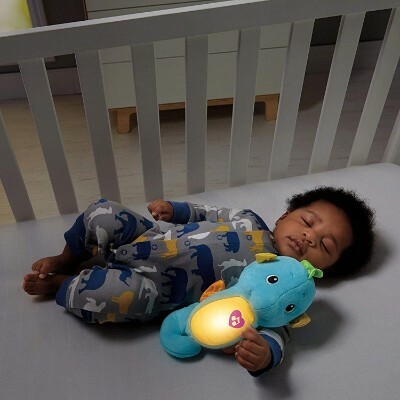 Putting your little one to bed just got easier thanks to the Fisher-Price Soothe & Glow Seahorse. 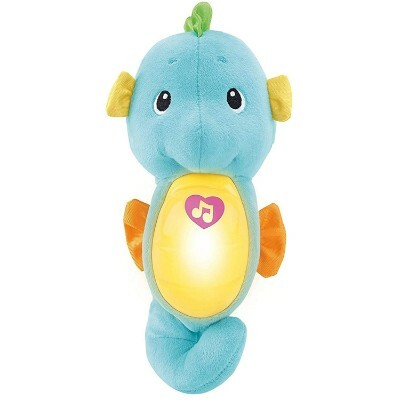 As soon as your child cuddles the seahorse his belly will gently glow and he will play soothing music and ocean sounds. It’s the perfect bedtime buddy for your baby. The light-up tummy will have babies cooing and feeling safe and warm. The soothing ocean tracks and classical music are perfect lullabies, and the toy is soft and super cuddly. Baby will be drifting off to dreamland in no time at all. The music will stimulate your child’s sensory development. The music is classical and also includes eight different lullabies. After five minutes, the music will slowly fade out so your child can continue to sleep peacefully. 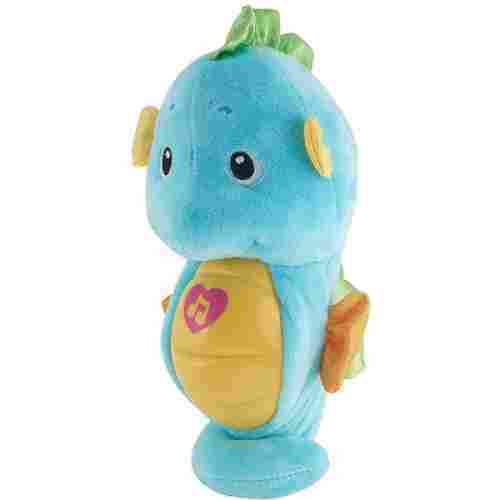 The seahorse is available in blue or pink and is sized perfectly for your child to hug. Both the sounds and lights can be controlled. They can be turned from low, high, or even off. The warm glow and the soothing music will help your baby relax and encourage them to drift off to sleep. When the seahorse needs to be cleaned, simply take off the cloth part and toss it in the washing machine. With colorful and multifunctional wings, the Clip & Go Firefly Freddie is a great toy for your newborn baby and an excellent accessory to his or her stroller or even baby carrier. Baby can learn colors, sounds, shapes while playing with Freddie and his many accessories. This toy will certainly keep your baby happy and entertained for hours whether on the go or staying at home for the day. It can also be added to his or her existing mobile. 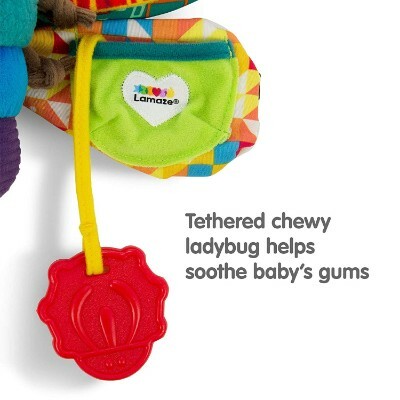 It features a ladybug teether, clacking rings, a peek-a-boo mirror, a squeaker, and crinkly wings. It can also play a friendly and melodic jingle anytime anywhere. It is made of high quality and soft materials especially for the delicate skin of your baby. Freddie the Firefly has a lot to offer baby. He includes a rattling ball, clacker, mirror, and a plastic ladybug for teething. Multiple fabrics were used in the creation of this toy to increase touch awareness. There is something about rattles that fascinates little children. 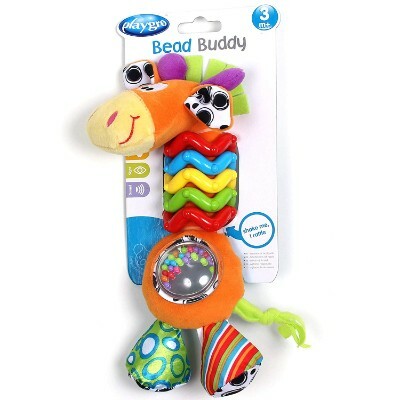 With the My First Bead Buddy Giraffe for Baby, babies can now create all the sounds they can muster with colorful beads creating the rattle in the circular ring of the giraffe’s body. The rattle tummy filled with beautiful beads will keep baby mesmerized for long periods, plus the neck made of rings that clink together are sure to please even the youngest baby. This toy is a perfect size for grabbing and chewing and and all-around buddy toy. The neck is adorned with colorful wavy rings and with colorful plush head and feet, this can be a great toy for infant development. The colorful Bead Buddy Giraffe is a wonderful sensory toy for baby that offers many textures to explore and teething opportunities on the giraffe’s ears and nose. Its soft and lithe body allows for handling even by the small hands of newborns. Its rattle can help stimulate auditory senses while the different surfaces can help with tactile sensory development. It’s great for visual development as well. 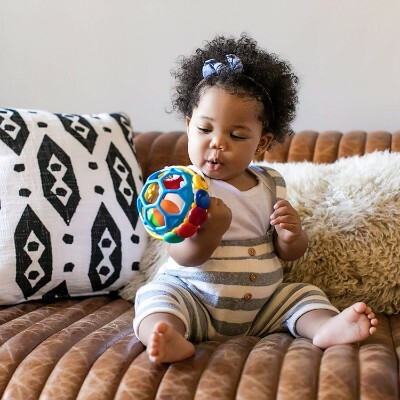 Made of high grade flexible plastic materials, the Bendy Ball can be an excellent addition to your newborn baby’s arsenal of toys. 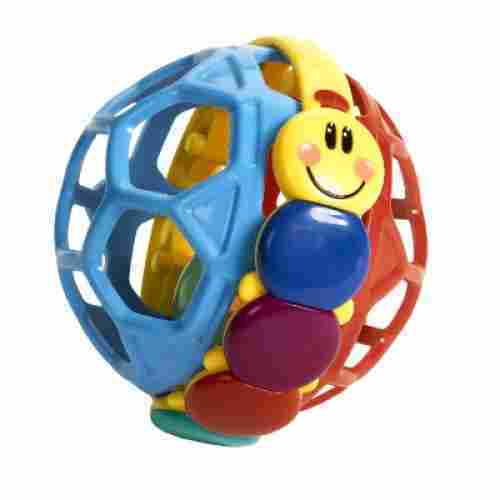 Baby can shake, roll, squeeze, and chew this delightful Bendy Ball. 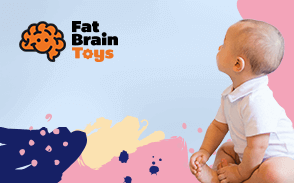 With plastic so flexible, even a baby can bend it and explore the wonders that the Einstein Bendy Ball contains. 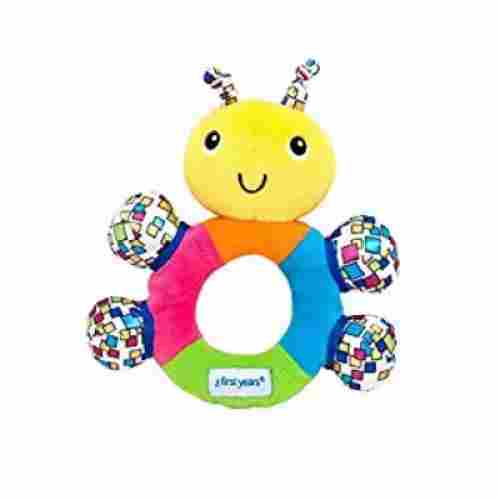 The caterpillar in the middle of the ball has multiple colors to teach baby sights and the sounds of the rattle just add to the charm of this toy. 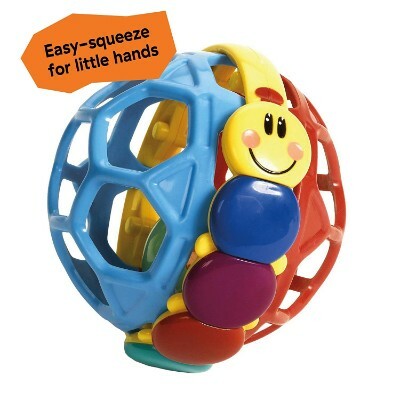 Small enough for tiny hands to manipulate and squeeze, the Bendy Ball will certainly be a first favorite for your child. 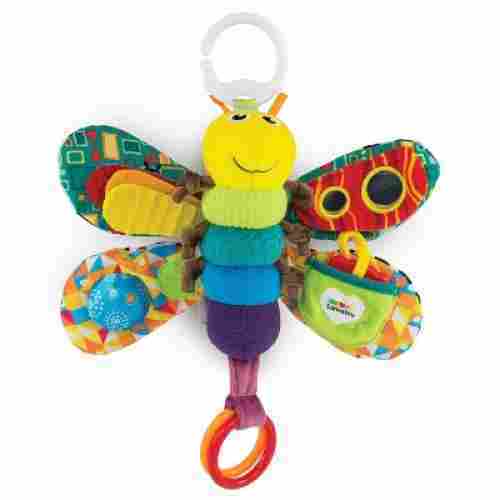 It has a center band that is designed as a smiling caterpillar and a colorful smaller rattle ball inside the Bendy. With holes that make up the flexible plastic ball, even the small fingers of babies can grab on to them. 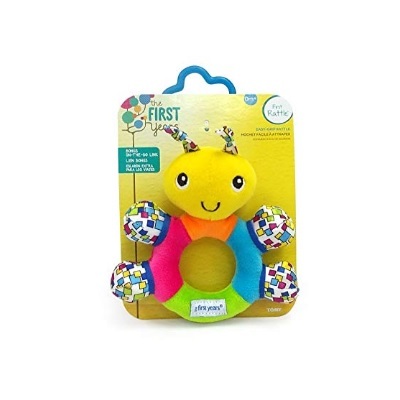 With a multi-textured and multi-colored teething ring, head, and limbs, the My First Rattle is ideal for newborn babies. The vibrant colors and jingling bells will keep baby spellbound for a good while. 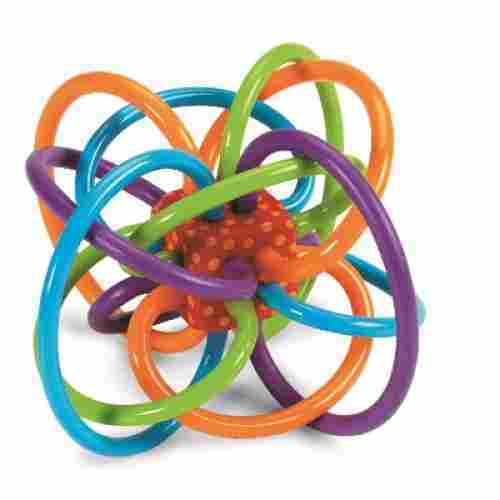 The unique ring shape makes this toy easy for baby to hold making it a first toy for developing those motor skills. A great choice for baby’s first rattle as it is the softest around. The feet are made of a crinkly material which crunches when chewed on or squeezed. Perfect for the first sensory toy providing sound and touch opportunities as baby grows. The soft ring body and head are composed of high quality soft materials to help in teething. The “fingers” are small enough to encourage your baby to grab and hold one. Teething is a phase that all babies go through and it’s not always a happy one. While welcoming new teeth is something to be happy about, for a baby, it’s something that can be painful and uncomfortable. Having a teething toy and stimulatory toy all in one can be a huge help to parents of newborns. While they’re busy chewing on this toy, they’ll also be fascinated by the rattling sound that comes from it every time they move or shift. This toy is super easy for newborns to handle due to various places for gripping onto and safely chewing on. It’s an award-winning toy that provides your baby with physical relief as well as stimulation which can be a great distraction from teething. Teething toys are so important in combating the discomfort that comes with new teeth and the Manhattan Toy Winkel Rattle is perfect for doing just that. It doubles as a sensory toy to give your baby a feel for new things and encourage them to explore their new toy while giving them a safe way to deal with incoming teeth. All of the toys reviewed here provide many levels of skill building that will teach the baby how different textures feel, how to move objects, and how to recognize shapes and colors. All of the toys chosen are colorful and loaded with activities. Sensory skills and motor skills are a benefit of almost each toy because playing should not only be fun but beneficial. All of the toys also provide multiple opportunities for the baby to chew and teeth on soft objects as well as soft plastic ones. Teething is a painful time for infants and these toys can help ease the pain in a playful way. Even at the most infantile age, babies need to hear sounds and music to use and strengthen their hearing skills. The toys listed here that do make sounds or music, do so in a very gentle way that will not frighten or alarm the baby. They are introductory noises and music that soothes the baby into sleep or nap time easily. Not all toys must make sounds, but those that do must encourage the baby to listen and be something that it enjoys hearing. All of these toys do that very nicely. The manufacturers of the items listed here were careful to keep baby in mind when choosing the materials for their toys. Knowing that infants would be teething and gnawing on these toys, most of them are made with nontoxic or BPA-free materials to keep your baby safe. The fabrics are all super soft so the baby will not be scratched or have problems with its tender skin. Even the toys with crinkly fabrics for the crunchy sounds are soft to the touch and ready for nibbling and teething infants. Child development progresses in a very systematic and organized way-–from general to specific, from gross to fine, and from top to bottom. Your understanding of these principles are very crucial to making the correct choice of toys and playthings for your very young baby. Infants who are less than 28 days old are generally classified as newborns or, in medical parlance, neonates; although it is not uncommon to see some parents calling a 3 month old baby still a newborn. This stage of a child’s development is very crucial as he or she is still adjusting to life outside the protection of the mother’s womb. Neonates are especially vulnerable to infections, injuries, and other illnesses. Unfortunately, it is also a very critical stage in his or her development because anything that he or she experiences or senses by this time will already be imprinted on his or her very young mind. Toys are your kids’ best instruments for learning more about themselves as well as other people and things in their immediate surroundings. These play things are very important for your child’s physical, psychological, social, and emotional development. As such, it is very crucial that, as parents of these lovable children, you should be able to provide them with the correct kinds of toys that are highly appropriate for their age and development. We have listed below the top 19 products that you can consider for your new addition to the family. The toys and play things included in this list are a product of meticulous research that factored quality, safety, and overall reliability and trustworthiness of the toy. Additionally, we also listened to what countless of parents who have already tried these toys with their own kids. q: Does the Piano Play Gym play just one note for each key when pressed or does it just play music? It has two modes of music play you can choose - short play just sounds one key at a time, while long play actually plays music for up to 15 minutes. q: Does the Bead Buddy Giraffe hang up? No, this toy does not hang up. q: For the Newborn-to-Toddler Play Gym, do the hanging toys come off so others can be put on too? es, they do come off and you can put on other toys that can fit in those spaces. q: For the Tiny Love Take Along Mobile, does the mobile move as the music plays or is it still? The mobile does rotate or stay still for the music. You can choose what you prefer. q: Does the Grow With Me Activity Gym and Ball Pit make any noises or sounds or play music? No it does not make any noises, sounds, or music. q: Is there an attachment strap for the Sassy Ball? No there is no attachment strap nor a place on the toy to attach one. q: What is the benefit of colorful, high contrast toys? Colorful toys help to stimulate baby’s eyesight and engage them in play. High-contrast toys, such as toys with lots of different animals, help your child to switch focus. By pointing out the colors, and talking about the different animals, your baby will learn to follow along with you, rather than staying fixed on one subject. They might not understand the meaning of your words yet, or be able to differentiate between the animals fully, but they’ll develop the mental capacity to change tracks. Deceptively simple concepts and toys can still have a huge impact on your child's learning to assess and functionally interact with the world around them.